Corporate responsibility, also known as “social responsibility,” “corporate citizenship” and “sustainability” has become the new standard on which many organizations are judged. 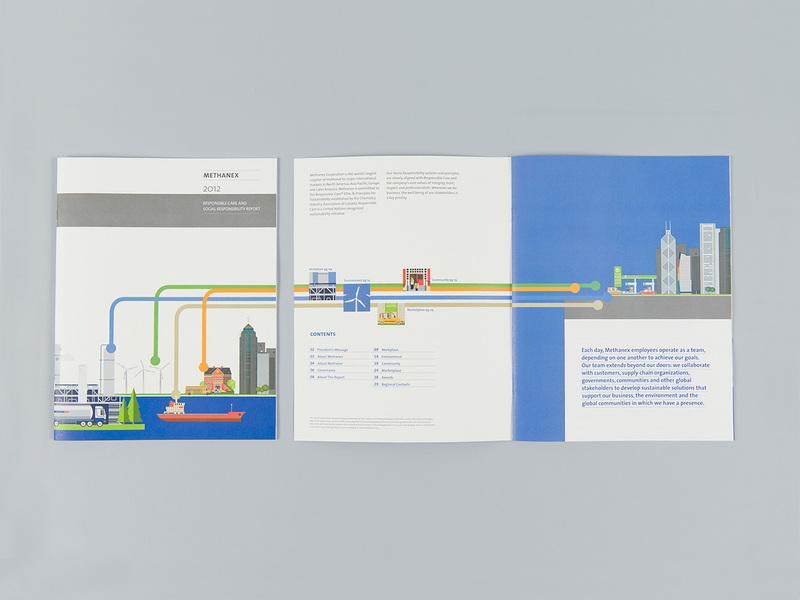 To introduce the global neighbour theme, we created an original illustration of “the world of Methanex” that presents landmarks and icons from the company’s operations around the world. And to show the human side of Responsible Care, we selected realistic and engaging photos of people who live in the communities where Methanex operates. 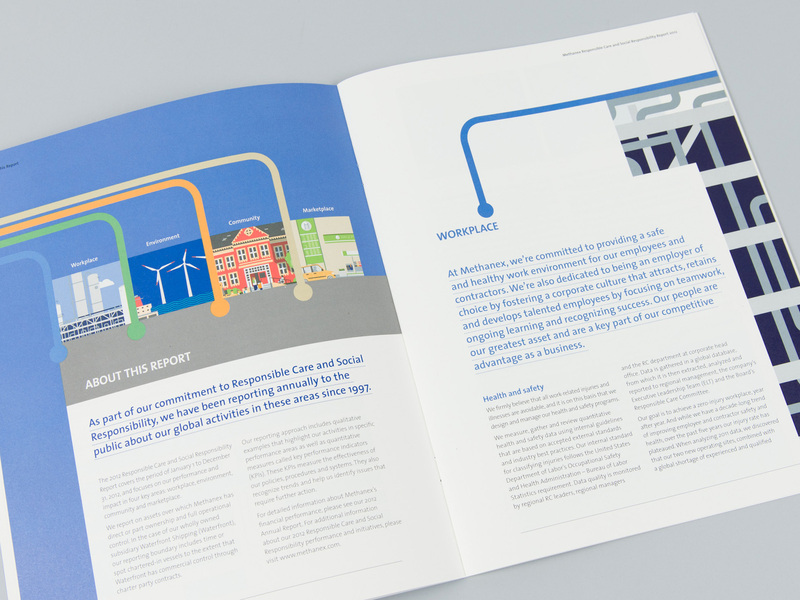 Increasingly, stakeholders and shareholders want to know how companies operate, what effect their activities have on the environment and what impact they have on the communities in which they operate. 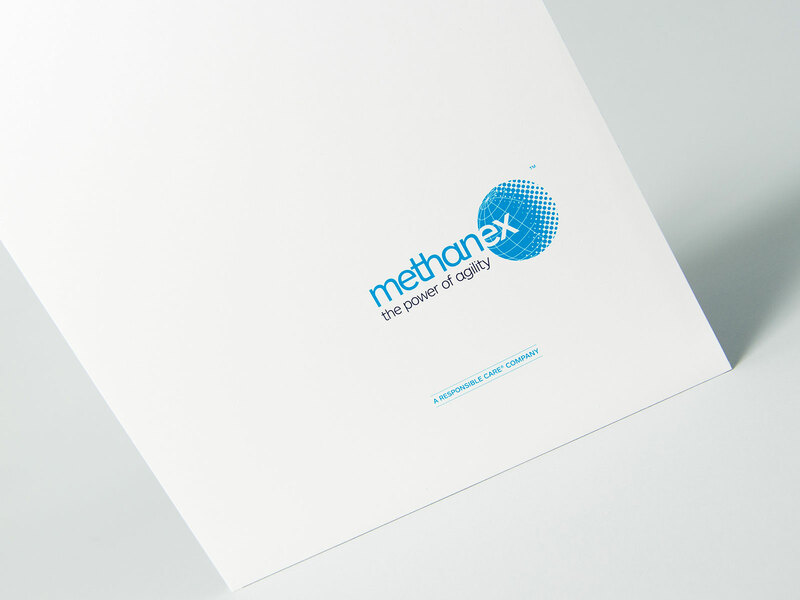 Methanex, the world’s largest producer of methanol, reports on these issues every year. 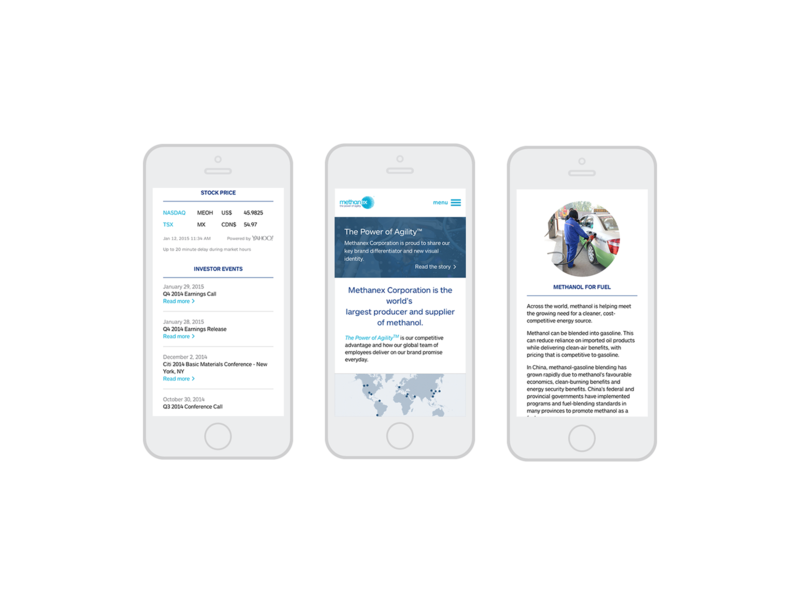 Our challenge is to create a context for the information presented in the company’s Responsible Care/Social Responsibility Report. 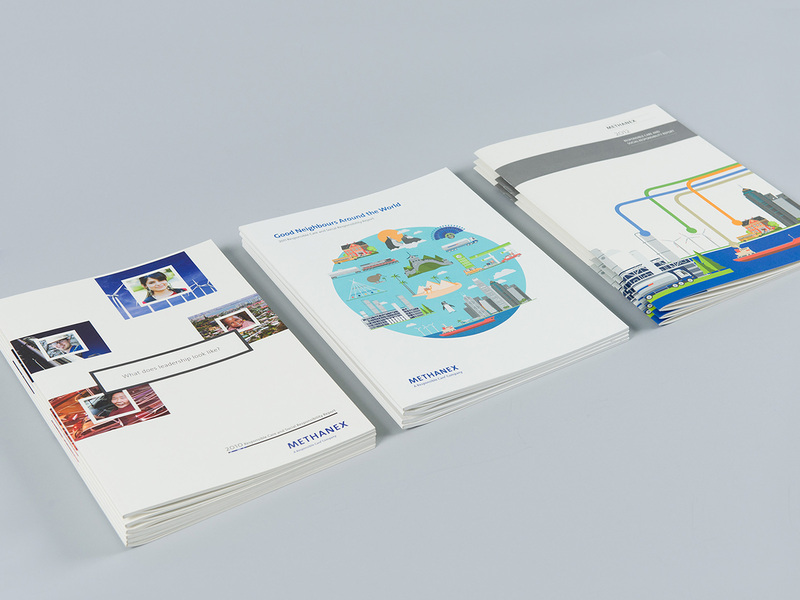 By putting “the world of Methanex” on the covers, we illustrated the global scope of this international enterprise. 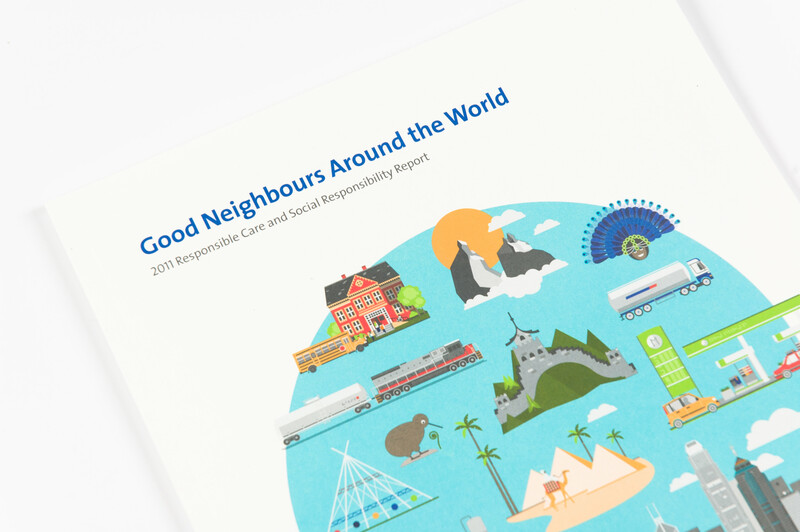 At the same time, the people images convey a friendly, accessible approach and reinforce the good neighbour theme. 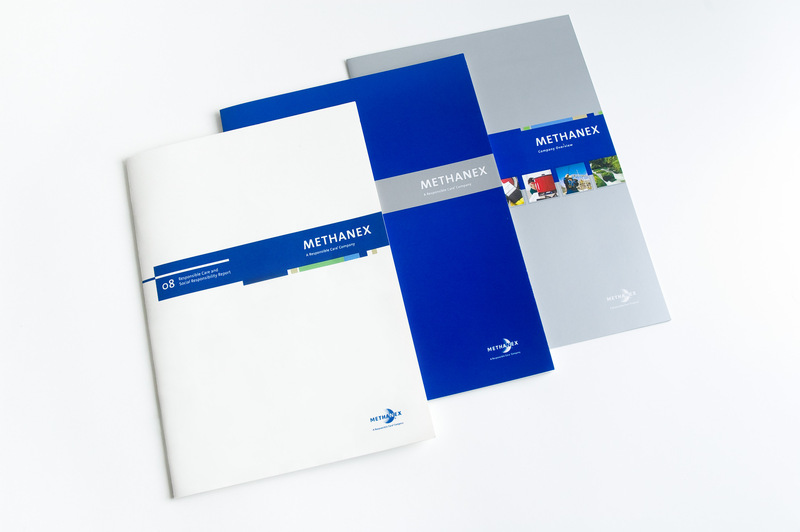 A long-time member of the Canadian Chemical Industry Association, Methanex has integrated the principles of Responsible Care® into everything it does, from the way the company is structured to the way its product is produced and transported. 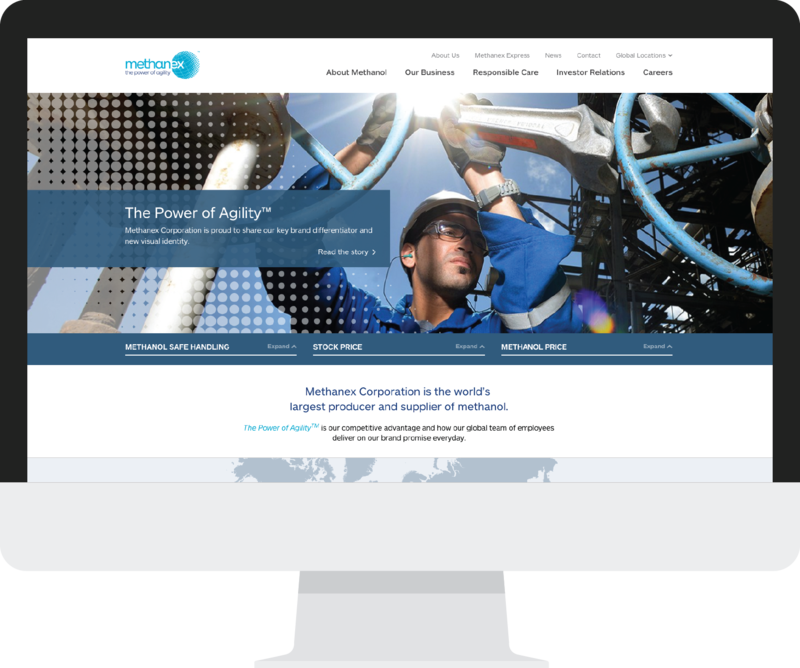 Having worked with Methanex on a variety of corporate communications over the years, we understand that the principles of Responsible Care are rooted in universal values: trust, open communication, respect and caring for one another. 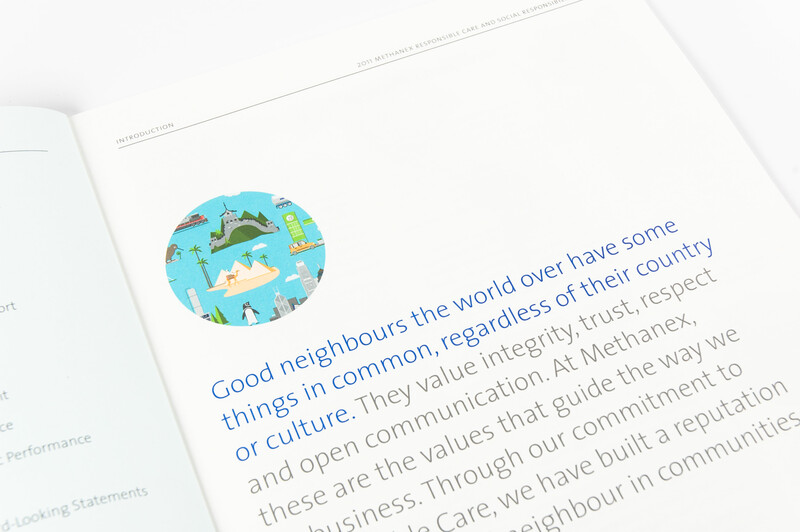 In fact, the very values that good neighbours share the world over. 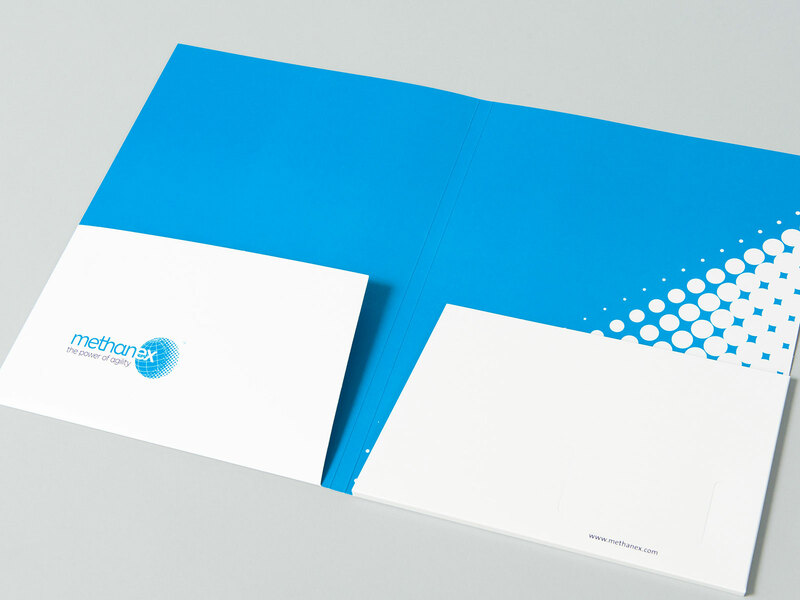 This concept formed the springboard for developing the 2011 Responsible Care Report.